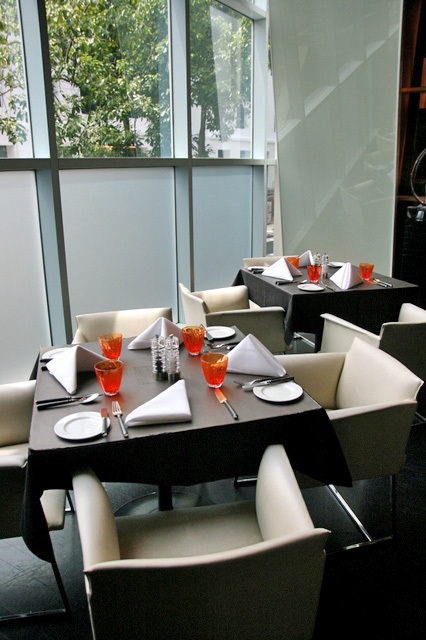 I am always on the lookout for nice, relaxing places for brunch (or tea, or dinner, or supper...oh, food should always be eaten in a relaxing environment, don't you agree?). So we came to the quiet side of Orchard Road one Sunday, to the Pan Pacific Orchard (I still think of it as the 'former Negara Hotel' despite all the changes and refurbishments). 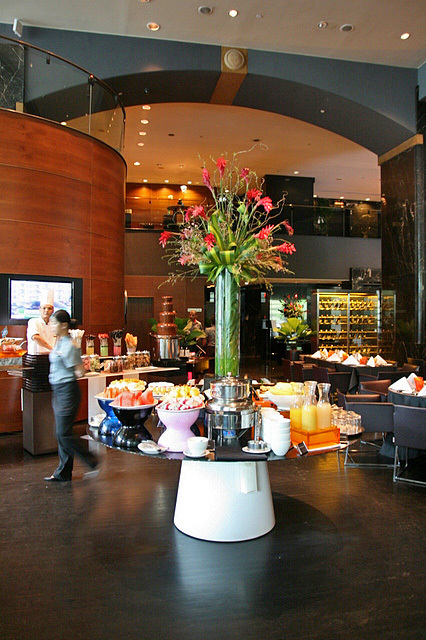 The all-day dining restaurant here, 10 at Claymore, has introduced “Plates of Pleasure – Our Greatest Hits” where they present unlimited servings of star dishes a la minute on top of their regular buffet spread. Every two or three months, the star dishes change. 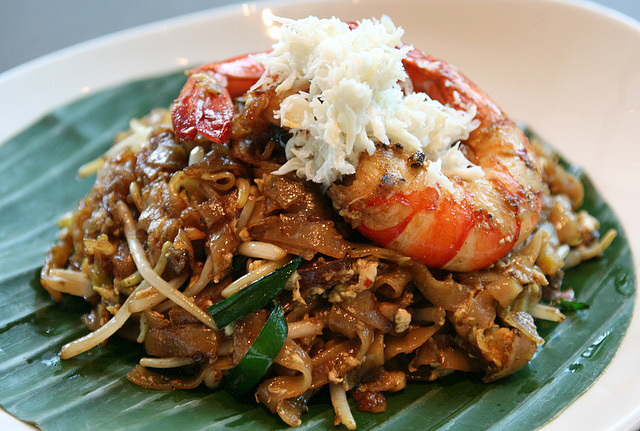 The March-April line-up includes Stone-Grilled US Premium Angus Beef Tenderloin, Oven-Roasted Tasmanian Free-Range Rack of Lamb and Penang-style favourites such as Wok Fried Char Kway Teow and Rich Aromatic Assam Laksa. 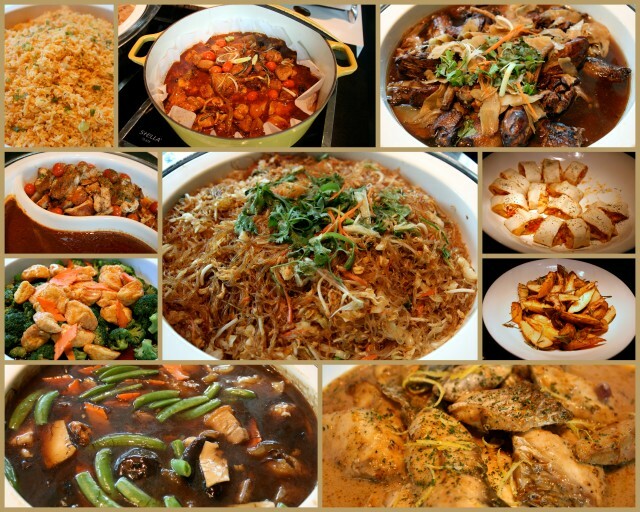 Let me start with what is amazing here - the Penang dishes. How do I even begin to describe the wantonly bold and complex flavours of this dish? I normally do not like Penang laksa due to its sour notes, and my hubby simply hates Penang food in general, but we both adored this. Suddenly all the tastes (seafood, sweet, salty, tangy, herbal) go together and make sense. Unabashedly savoury with lovely wok hei, just like in Penang. 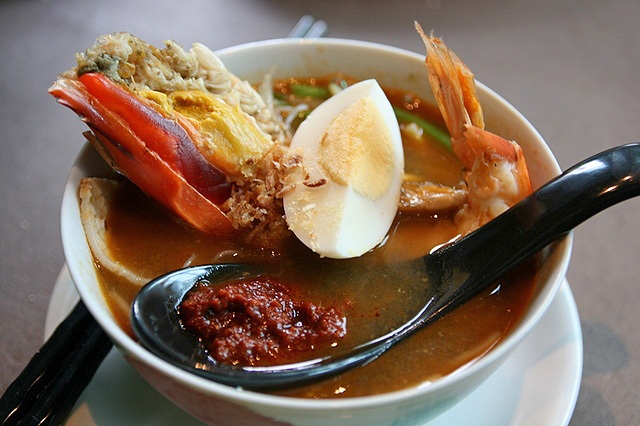 The only thing is you won't get those jumbo crabmeat flakes or huge tiger prawns from any kway teow hawker in Penang! Another winner! Look at the beautiful broth. 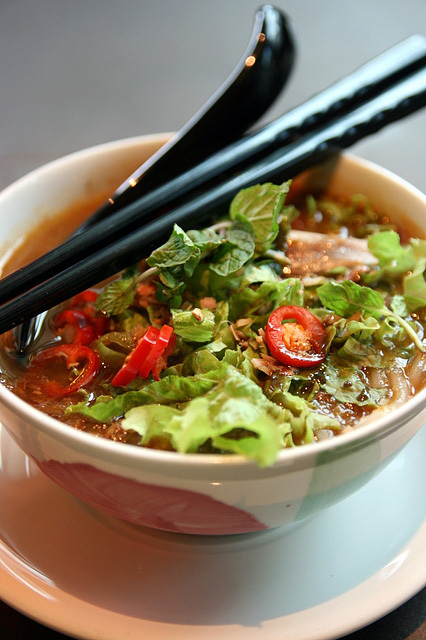 And that generous dollop of chili paste on the spoon really adds a fiery punch that makes the dish come alive. Not much in way of crispy pork belly, just a few thin slices, but it's still all good. I had a chat with the chef and it turns out the executive chef, and two or three other chefs at least are all from Penang. They decided to cook things their way. No wonder. It is such a pity that these dishes are not on the regular menu. They really should be. Maybe if enough people demand it? 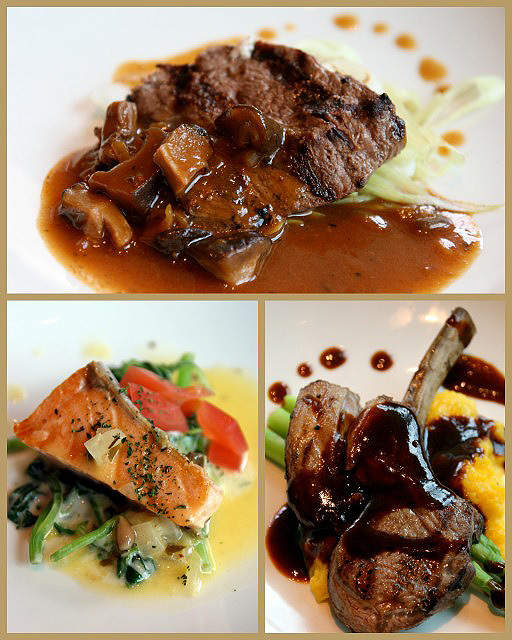 The other three star dishes are of a Western variety. Basically standard international fare that were no match for the Penang specialties. 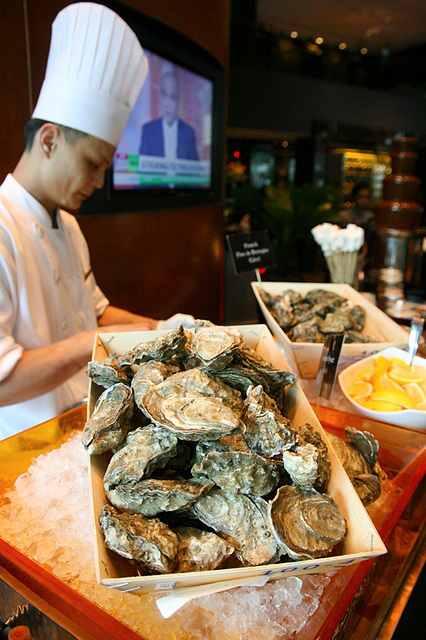 There are two kinds of oysters - Canadian and French - freshly shucked on demand. Very briny. The usual seafood on ice is also available (mussels, scallops, crustacean claws) but I seem to have gone off cold seafood. Hot mains at buffets are rarely the highlight. They are largely good as fillers, but who knows there may be a lucky dish there that catches your fancy. A small selection of Japanese items, and New Zealand cheeses with breads. 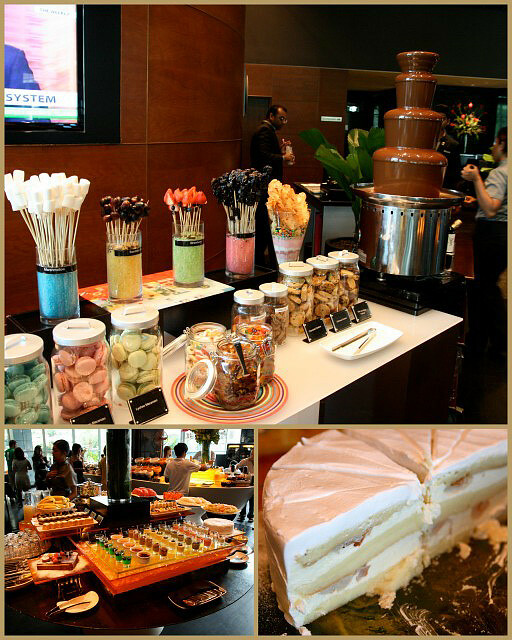 Desserts are probably the best offering here. We had a lychee shortcake which proved a most interesting alternative to the usual strawberry one. There's also warm chocolate pudding and Kapiti ice cream for the taking. What you must not miss is the live crepe station. 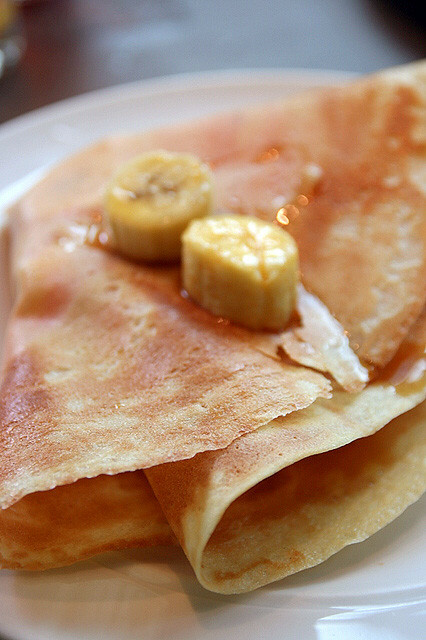 Oh, freshly made and crispy, topped with ripe bananas and drizzled with honey. It's so simple but so good. 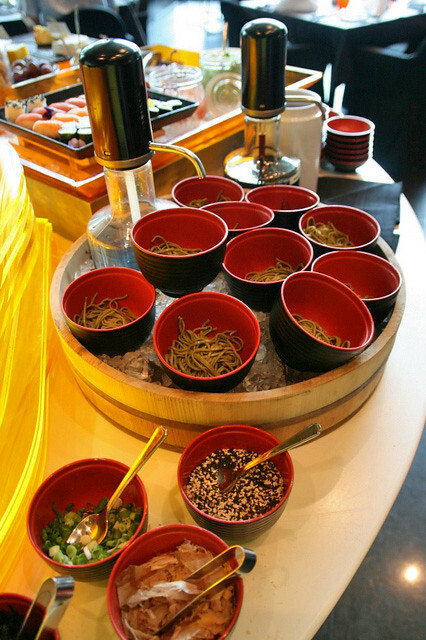 This rendition of Plates of Pleasure buffet is available until 30 April 2012. Children aged 2-12 years old are charged at $27.50++ (free flow of juices). Thanks to Pan Pacific for extending the invitation. It looks so delicious. I love the food in Singapore.